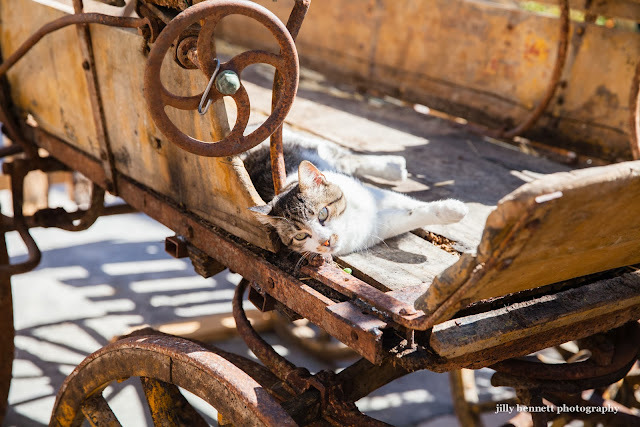 This cat enjoys the sunshine in a beautiful old cart in the main square of Gorbio village. Ce chat apprécie le soleil sur une belle vieille charrette sur la place principale du village de Gorbio. In my opinion, every photo improves by adding a cat. I noticed your photos will be part of the upcoming Photo Menton Festival. I'll be there gawking with all the others.